Kerala Ex-servicemen Welfare Association, (abbreviated as KEXWA) was registered as a charitable organisation under Travancore – Cochin – Literary, Scientific and Charitable Societies Registration Act XII of 1955 with Registration No.ER 302/94 and has been doing yeoman service for the welfare of Ex-servicemen only. It stands for Ex-servicemen’s truly stated that KEXWA comprises of Ex-servicemen only. The guiding principle of the Association is Self Help. The committed group of Ex-servicemen who started the venture had three ideals in their minds. To provide suitable employment to Ex-servicemen who retire at fairly young age. To run resettlement course to make them equipped to meet the demands of civilian life. To set up and run a SAINIK ASHRAM for second world war veterans in particular and a place for rest and recreation for the needy and old ex-servicemen in general which will be known as SAINIK VIHAR. Having achieved a fair amount of success in the employment sector through Kerala Ex-servicemen Service Organisation (P) Ltd empanelled with Director General of Re-settlement (DGR), Ministry of Defence, New Delhi and having been selected by DGR to run resettlement courses on their behalf, it was a natural transition for KEXWA to start the venture closest to their heart, the old age home, named SAINIK ASHRAM. 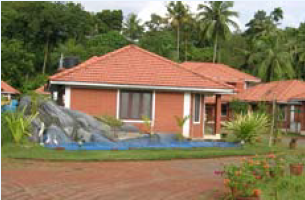 It was started in 1998 in rented premises but moved into its own building in Kakkanad in September 2001. With no help coming from Government, it was a saga of sacrifice all the way. SAINIK ASHRAM is now a home to a group of pension less destitute Second World War veterans who enjoy its hospitality at no cost to them. The scheme now visualized, is to establish a housing complex with the name ‘SAINIK VIHAR’ exclusively for the senior citizens among Ex-servicemen. It is intended to be the home where those senior citizens who once belonged to one of the three Defence Services (Indian Army, Navy, Air Force) can look forward to spend their remaining years of life in reasonable comfort and assurance, yet as active as age and attributes would allow. It would provide for a friendly neighborhood housing scheme to house such ex-service personnel who could afford to put in a modest amount and secure their living in well built and cozy houses for as long as they may live and spend on themselves to pursue their accustomed way of living.